Joseph Gorak began his classical ballet training with North Central School of Ballet in Texas. He has studied under full scholarships at the International Ballet Competition Summer School, as well as ABT’s Summer Intensive in Austin, Texas, and Orlando Ballet’s Summer Intensive, and School of American Ballet’s summer intensive. In 2004, Gorak trained at the Orlando Ballet School and, in 2005, joined Orlando Ballet, under the direction of Fernando Bujones. Gorak won the silver medal in the senior men’s division at the 2005 Helsinki International Ballet Competition, the gold medal in the senior men’s division at the 2005 YAGP Finals, the silver medal from the National Foundation for Advancement in the Arts, and the Grand Prix Award at the 2006 YAGP Finals. 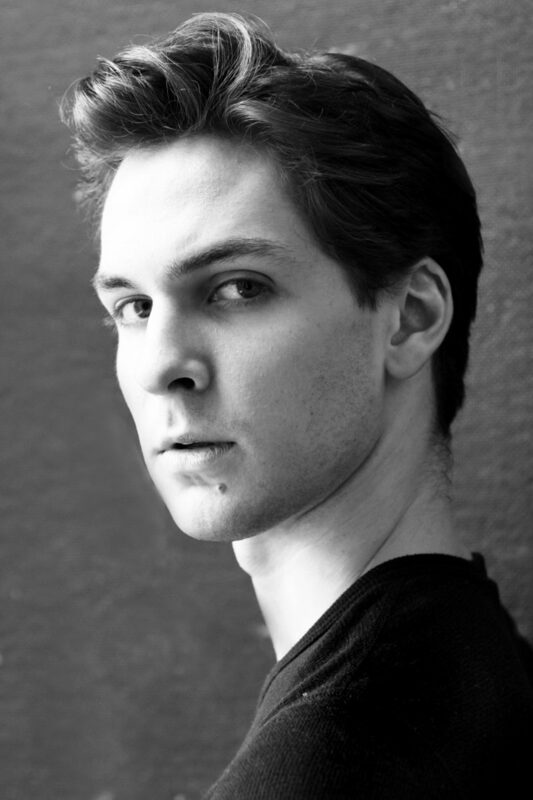 Gorak joined ABT’s Studio Company in 2006 and was named an apprentice with American Ballet Theatre in January 2009. He became a member of the corps de ballet in January 2010 and was appointed a Soloist in 2014. Among his roles with the Company are the Bronze Idol in La Bayadère, the Prince in Cinderella, Franz in Coppélia, the Dancing Master in Gaîté Parisienne, the peasant pas de deux in Giselle, Prince Afron in The Golden Cockerel, the Beggar Chief in Manon, the Nutcracker Prince, the Chinese Dance, Russian Dance and the Recruit in Alexei Ratmansky’s The Nutcracker, Lensky in Onegin, Cassio in Othello, Romeo and Benvolio in Romeo and Juliet, Prince Désiré and the Bluebird in Ratmansky’s The Sleeping Beauty, the Bluebird and a Fairy Knight in The Sleeping Beauty, Benno and the Neapolitan Dance in Swan Lake, The Poet in Les Sylphides, a Goat in Sylvia, Tchaikovsky Pas de Deux and roles in Bach Partita, Brahms-Haydn Variations, Company B, In the Upper Room, Monotones I, Raymonda Divertissements, Serenade After Plato’s Symposium, Seven Sonatas, Symphonic Variations, Symphony in C, Symphony #9, Theme and Variations and Valse Fantaisie. He created a Fairy Cavalier in Ratmansky’s The Sleeping Beauty, Ferdinand in Ratmansky’s The Tempest, Prince Cocoa in Whipped Cream and leading roles in Dumbarton and Private Light. In 2011 Gorak won the Erik Bruhn Prize. Gorak is the recipient of a 2011-2012 Princess Grace Performance Dance Fellowship. Gorak is a winner of a 2015 Leonore Annenberg Arts Fellowship. Mr. Gorak's performances with American Ballet Theatre are sponsored by Susan Winokur and Paul Leach.